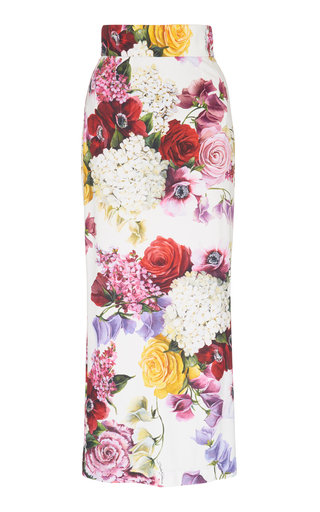 Dolce & Gabbana's skirt is cut in a classic pencil shape and printed with a timeless floral motif. It's really comfortable to wear thanks to the stretch-crepe fabric, elasticated waistband and silk-blend lining. Style yours with a tucked-in blouse.